It's fair to say, most of the states in the USA have history, but the Carolinas are steeped in it. All the way back to the 1660s when one Carolina colony was formed during Charles II’s monarchy. Today, they are designated north and south and each offers something sweet and unique. Together they are unmissable and welcome back the British to their miles of coastline and beaches, mountain scenery, championship golf and southern hospitality. Mix a dynamic banking community humming with state of the art technology, blend in some Carolina hospitality, good cooking, hot wheels and public art. Together with great shopping, endless golf, colonial heritage, serene gardens and world-class entertainment, Charlotte is the number one destination in North Carolina. 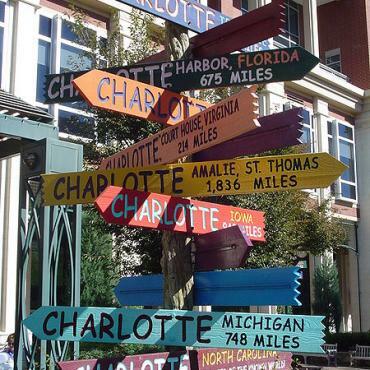 Over the past two decades, Charlotte, once a small southern city, has emerged as a big, bold, vibrant metropolitan area. Home to NASCAR and Bank of America, its size and draw give the city world-class sporting events, arts and entertainment. 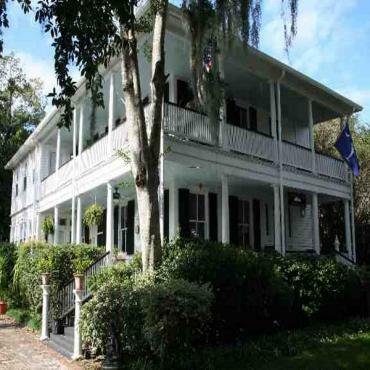 Right on the border between North and South Carolina, its location also adds a touch of Southern Charm. The vibrancy of the city, which epitomizes the New South, can mask its age-old roots. 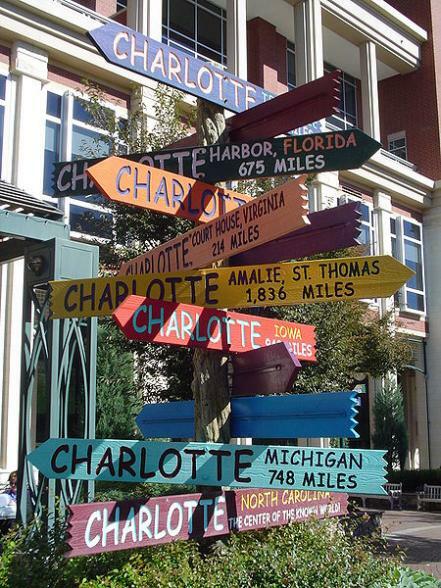 Named after the wife of King George in 1768, Charlotte is still referred to as the Queen City. The discovery of a 17-pound gold nugget in 1799 put the city on its path as a financial centre. When the prospectors and miners moved on, textiles, railroads and bankers took their place, civilizing the city into the merchant community that it is today. 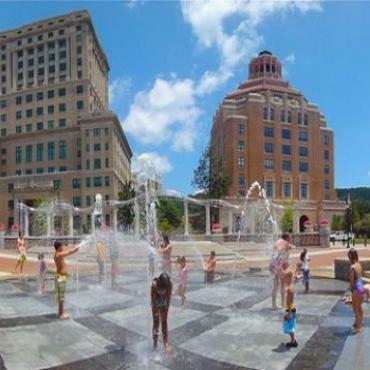 When you travel to Charlotte on a weekend jaunt or a whole vacation, you’ll discover the amenities of a large, cosmopolitan city coupled with the charm and hospitality of a small town. 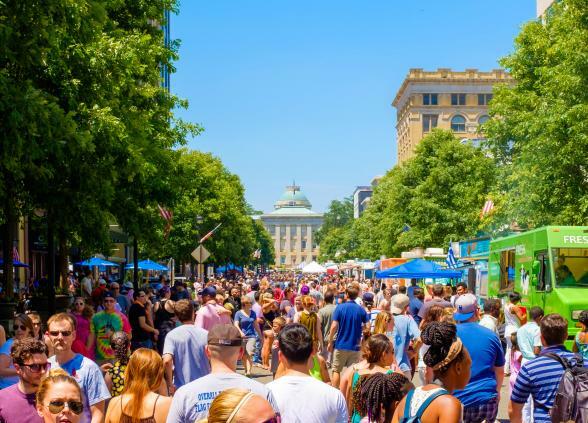 Life in Raleigh is a combination of North Carolina Piedmont and Southern culture. 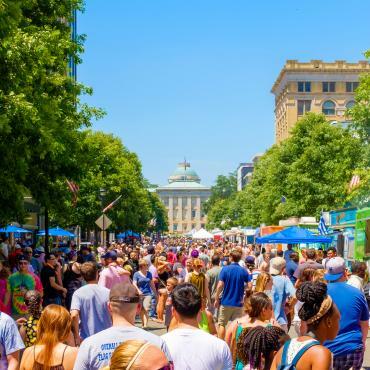 Located in Research Triangle, Raleigh and its sister cities of Durham and Chapel Hill are sophisticated and dramatically different yet blend elements of coastal culture and piedmont culture. A short time on the ground will reveal a part of North Carolina that is very lovely, rich in history, very genteel and very Carolinian. Raleigh, the Capital of North Carolina, has grown from a historically cohesive colonial settlement into a vibrant, contemporary city. Historic treasures such as the Capitol Building and the Executive Mansion sit beside sleek office buildings, interspersed with parks and green space. Raleigh has everything a large cosmopolitan city has to offer, yet retains the pace and gentility of a smaller southern city. Chapel Hill is a quiet, historic college town. Built during the early 1800s, the community grew up around the University of North Carolina. Broad quiet tree-lined, flower-laden streets and gardens make great places for walking. Conversely Durham, home of Duke University, had more industrial and manufacturing roots in the past. Duke University was founded by the Duke family tobacco fortune. So slow your pace, engage your mind and relax your body. It will allow you to soak in the three-century heritage of this unique place. When travelling from Raleigh to the North Carolina coast, stop first at the Museum of the Albemarle which introduces you to the region’s first residents is one of the stops on the Historic Albemarle Tour and the scenic byways that connect the delightful little towns. The first town, Hertford, is a sleepy little river town steeped in history. Across the river Leigh's Plantation still draws exclamations of surprise when visitors round the bend and catch a glimpse of the huge brick facade. The Newbold-White House, constructed in 1730, is thought to be the oldest house in North Carolina. Just south, Edenton is referred to by many as The South’s prettiest town. Incorporated in 1722, it has a massive historic district. The magnificent 17th century Chowan County Courthouse has been restored. The home of James Iredell, first appointed by George Washington to the US Supreme Court is now the Historic Edenton State Historic Site. Three more very historic, very quaint towns, Windsor, Willamston and Plymouth follow. Between Edenton and Windsor, you’ll be following the Edenton-Windsor Loop Scenic Byway. 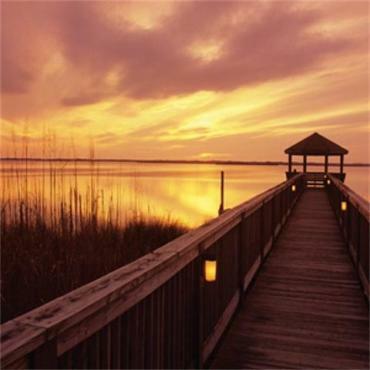 To reach North Carolina’s Outer Banks, you’ll be travelling the Alligator River Route Scenic Byway and crossing Alligator Lake on the way to Manteo. 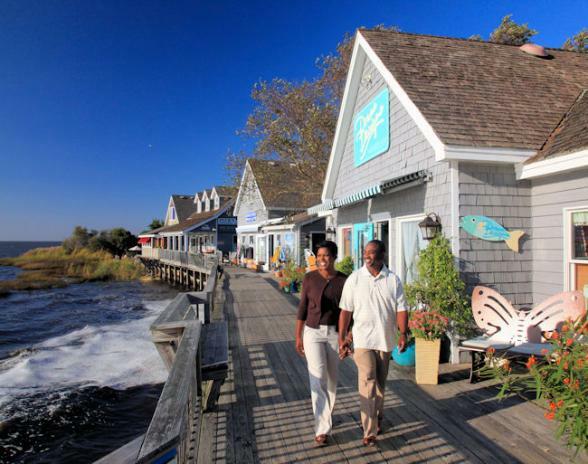 We’ve included time tomorrow to explore the barrier islands of the Outer Banks. Your accommodations this evening place you near the Wright Brothers National Monument, the place where Orville and Wilbur Wright made the world’s fascination with flight a reality. Today, the Outer Banks Scenic Byway will serve as your route to the lighthouses that guard North Carolina’s Outer Banks. The Currituck Beach Light Station was established in 1875 to fill a dark spot between the Cape Henry Lighthouse in Virginia Beach and Bodie Island. At a height of 158 feet, the night beacon still flashes at 20 second intervals to warn ships hugging the chain of barrier islands along the coast. The Keepers House is a Victorian stick style building that was pre-cut, labelled, shipped, and assembled onsite. 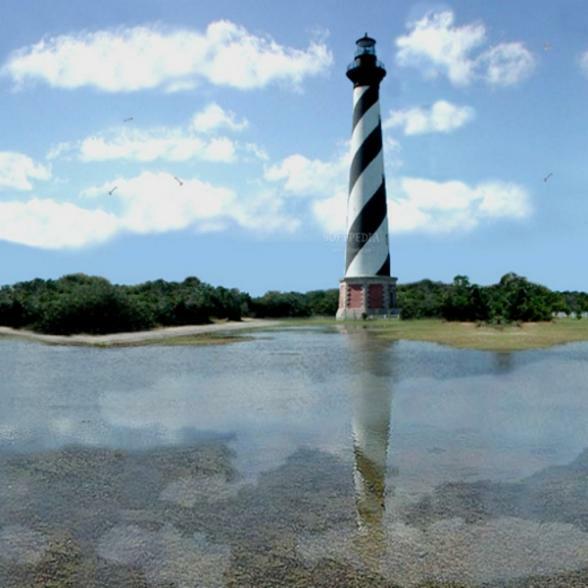 Keeping a working lighthouse on Bodie Island has required three rounds of construction. The first structure, built in 1847, began to lean within two years after it was completed. A second 1859 structure was done in by the Civil War. Today’s Bodie Island Lighthouse was located in a different place on more stable land in 1871. The present Cape Hatteras Light was built in 1870 to replace an 1803 structure. In 1999, the light was moved 2900 feet in order to preserve the structure. At 193 feet, it is the tallest light house in the United States and one of the tallest brick lighthouses in the world. On your way back to Kill Devil Hills, you can also visit Fort Raleigh National Historic Site, the location of Sir Walter Raleigh’s colony that did not survive. An authentic reconstruction of the small earthen fort is located on the very spot it stood 420 years ago. Before its demise, the fort was the site of the first English child born in Virginia, the daughter of John White, the artist hired to document the voyage. When White finally returned to the colonies in 1590, he discovered no sign of the colonists except the letters CRO carved on a tree and CROATAN, the name of a nearby island carved on a post. No other trace was ever found. 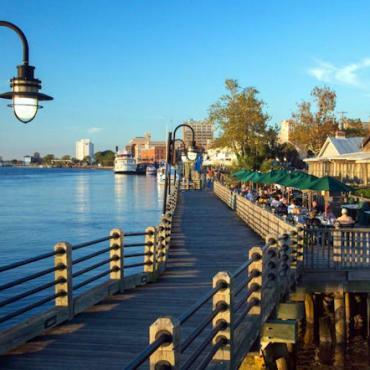 Settled in 1739, Wilmington is now the fifth largest metropolitan area in North Carolina. A well-preserved historic core is surrounded by a bustling town, complete with shops, restaurants, hotels, and other contemporary amenities. A brief visit to the Cape Fear Museum will be a great starting point for your visit, to put other area attractions into context. After experiencing the whole Lower Cape Fear story, you’ll come to understand the impact that the geography and natural environment has had on the culture of the region. After the Civil War, long leaf pines and their by-products drove the local economy well into the 20th century. The 1859 Bellamy Mansion, proudly positioned at 5th and Market Streets, is one of the finest examples of Antebellum architecture in the south. Moving into the structure on the eve of the Civil War, the Bellamy family was soon displaced by yellow fever and troops who commandeered the residence as their headquarters during the occupation of Wilmington. After the war, family members ultimately remained in residence until 1946 when Ms. Ellen, the last remaining descendant, passed on. After years of vacancy and a devastating fire, the mansion was totally restored as a museum. After strolling the gardens surrounding the Bellamy Mansion, it’s time for you to spend more time outdoors. 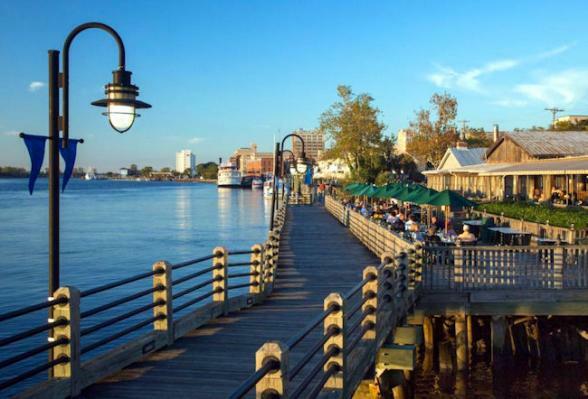 A 90 minute narrated cruise on the Capefear Riverboat takes you up and down the scenic Cape Fear River. Nearby, Airlie Gardens, established in 1901, is now celebrating more than a century as gardens by the sea. The 67 acres are enhanced by the 400-year old Airlie Oak and a collection of over 100,000 azaleas and camellias. Today, it’s on to Charleston and the Deep South. 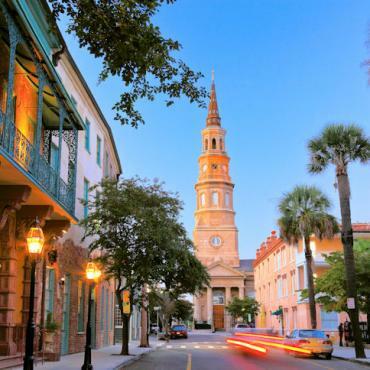 Charleston and Savannah were the most important cities in the colonial South. Much of the opulent architecture was built by prosperous planters who built homes in the city for social life. After you have checked out the location of your accommodations, head for The Battery, or White Point Gardens, as they are officially called. 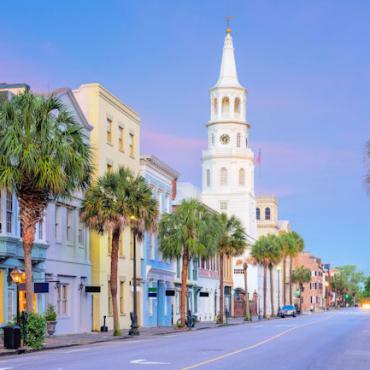 Here on the Charleston waterfront, as you look back towards the city, you’ll see that famous streetscape of ornate antebellum painted ladies that line the block. There are blocks and blocks more of historic district in Charleston, all well maintained, all well preserved and all authentic. A visit to the Charleston Museum provides a really good overview of how the city came to be. 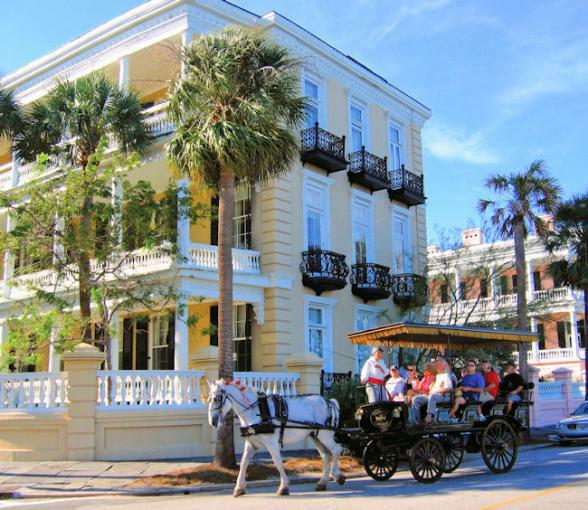 In fact, the presence of the Charleston Museum, the oldest museum in America, itself contributed to the heritage and culture of the city. An extensive collection of actual objects from daily life in early Charleston and the Low Country animate the story being told. Two historic houses owned by the museum: the 1803 Joseph Manigault House, Charleston’s Huguenot House, and the 1772 Heyward-Washington House are both restored and open for touring. After that, it’s likely time to visit the location in Charleston that changed the face of America. Exhibits at Fort Sumter National Historic Site, reachable only by ferry boat, tell the story of the construction of the island and of the fort that lead to the infamous day in April 1861 when the first shot was officially fired in America’s Civil War. The extensive Fort Sumter Visitor Centre in downtown Charleston illuminates the growing sectionalism and strife between the North and the South and how the problems regarding the rights of states to determine their own fate ultimately erupted into war. Private shuttle boats leave from the Charleston Harbour and the National Park Service operated ferry leaves from Sullivan’s Island. Another Visitor Centre on Sullivan’s Island covers the story of America’s seacoast defences from 1776 to 1947. Charleston breakfast, a drive on the Ashley Road Scenic Byway to Magnolia Plantation and the Audubon Swamp Gardens is a great way to start your day. The Drayton’s, who built Magnolia Plantation, were real English royalty. Family ancestors include Aubrey de Vere who landed with William the Conqueror in England in 1066 and later became Grand Chamberlain to King Henry I. It was interesting that by the late 1600s, when the family migrated to America, the father and son were simpler people seeking a new start in the New World. Just over a two-hour drive from Charleston is Hilton Head Island ,the perfect beach add-on to your stay. The island has an eco-friendly point of view and a real appreciation for the environment offering 50 miles of paths for bicycling and hiking along the shore. With over 250 restaurants, 24 golf courses, spectacular beaches, and in excess of 200 shops, the Hilton Head Island offers something for everyone. 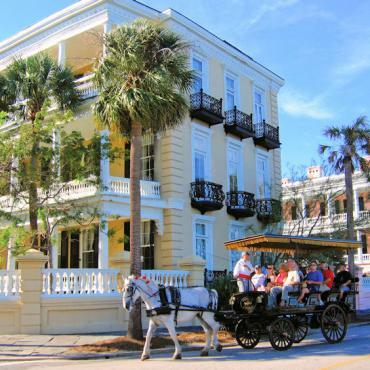 To add Hilton Head Island to this itinerary, call the tailor-made travel experts at Bon Voyage. 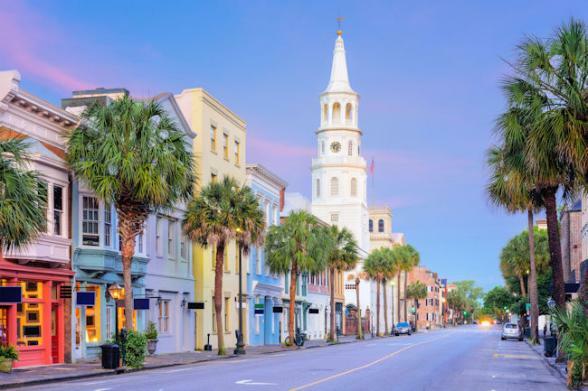 Today before you leave South Carolina, you’ll want to visit the South Carolina State House, an antebellum Greek Revival structure begun in 1851 but not completed until 1907. After the building was begun, the first architect was fired and a new one hired. Construction resumed in 1855 but was curtailed by General Sherman’s visit in 1865. The Old State House and the interior of the unfinished new State House were burned. Work resumed again several years later and dedication finally occurred in 1907. If there’s time, Columbia also has one more treasure trove of South Carolina. The South Carolina State Museum is housed in the 1893 Columbia Mill which the museum calls their biggest artefact. Exhibits tell the story of the art, cultural heritage, technology and natural history of the state. 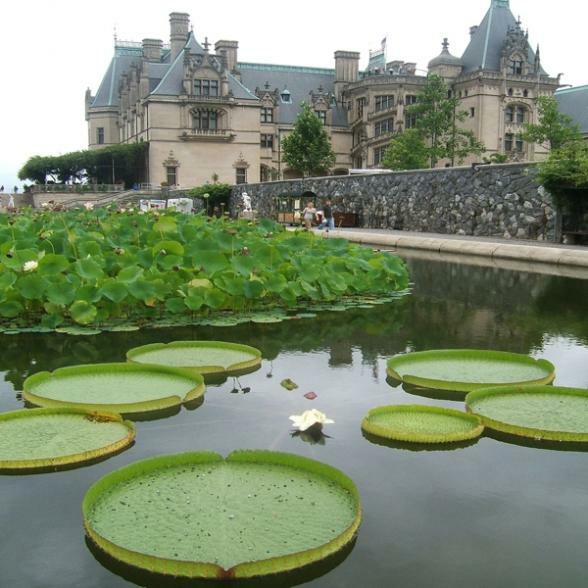 Built by George Washington Vanderbilt in 1895 as a country retreat for friends and family to escape the tensions of everyday life, at 250 rooms the Biltmore Estate is America’s largest home. It’s like stepping back into another world of luxury. The art collection, furniture, and the magnificent mansion itself are worth the visit. It’s as grand as anything you might see in Europe. Like America itself, it's now open to everyone. Beyond a retreat, Vanderbilt envisioned a “working estate that would sustain itself and benefit the community” with acres of gardens, parklands and managed forests. Touring this most opulent French Renaissance Chateau, it will be hard to focus on the fact this was once a self-sustaining working farm. So many things have been added to the property that you can likely spend most of the day exploring here. The original lakeside vineyards have been revived and now produce grapes made into wines at the state of the art winery. An authentic French winemaker was recruited to produce the real thing. Frederick Olmsted’s original genial shrub garden and formal Italian Garden are now complemented with 2,300 roses and more than 1,000 azaleas. A visit to the Farm Village illustrates how the workers lived, worked and played in the 1890s. Interpretive exhibits illustrate antique equipment and the traditional farm animals that would have lived on the property. While there, you can also enjoy the bike trails, equestrian paths, a raft or recreational kayak and browse for treasures at the many shops, ranging from Christmas antiques and reproductions of Biltmore Estate items, to a bookbinder and wine shop. The Biltmore Estate now has four sit down restaurants, several places to get a quick bite and a wine tasting room. More shopping is located right at the entrance to the Estate in Historic Biltmore Village, originally designed as a planned community in the 1890s. 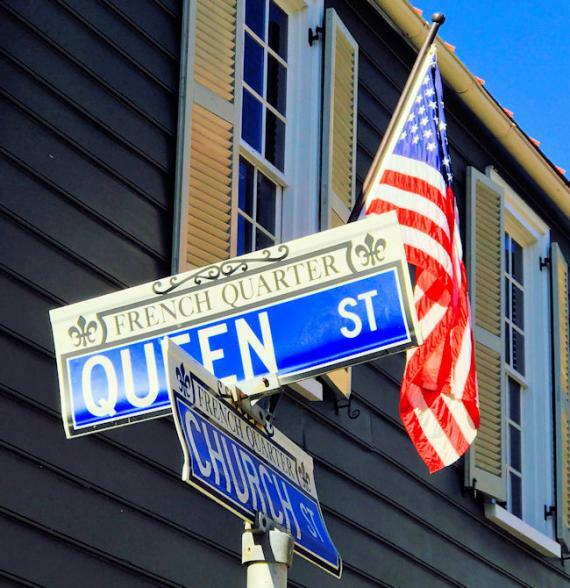 Quaint tree-lined streets, brick sidewalks, and open air dining give this historic village a feel and quality unlike any other. Today you can relax in the serenity of the North Carolina Arboretum, located within the Bent Creek Experimental Forest. The Arboretum is a 426-acre snapshot of the incredible variety and deep diversity found in the southern Appalachian Mountains, cradled in a beautiful garden. One of the 13 walking trails will surely appeal to you. If there’s not time today, you can always visit the Arboretum tomorrow morning before leaving Asheville. A complete change of pace is in store at the Southern Highland Folk Art Centre. The idea for the Centre emerged from the Southern Arts and Crafts Movement of artisans trained at the Penland School of Crafts. Chartered in 1930 to showcase traditional craft work and provide a vehicle for the women to share marketing and promotion, today the Guild represents an astounding 900 crafts people from 293 counties in nine southeastern states. You will find the absolute best of the best at the Guild, from furniture and quilts to jewellery, pottery, and other fine arts. Plan to spend plenty of time browsing even if you’re not interested in buying. 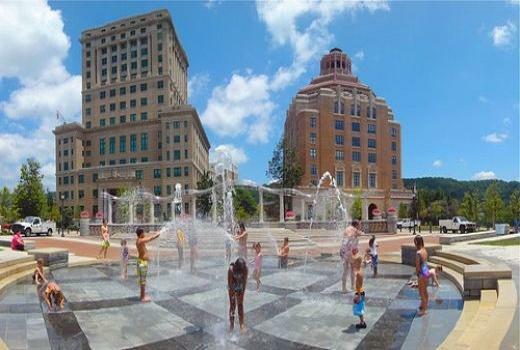 Back in Asheville, head out on the Urban Art Tour of Asheville by following the pink granite markers on the sidewalk for a great overview of the city. Today is your last day in the Carolinas before heading back to the UK. 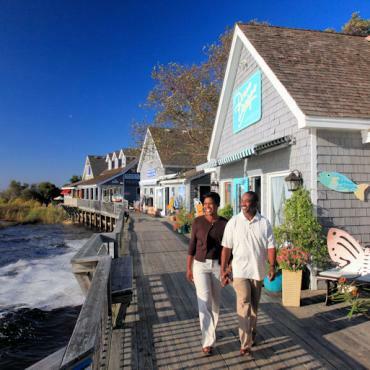 With so much to discover in America, why not extend your stay? If music is your passion, perhaps you may want to travel over to Nashville, or head to the nation capital, Washington DC for a few days. 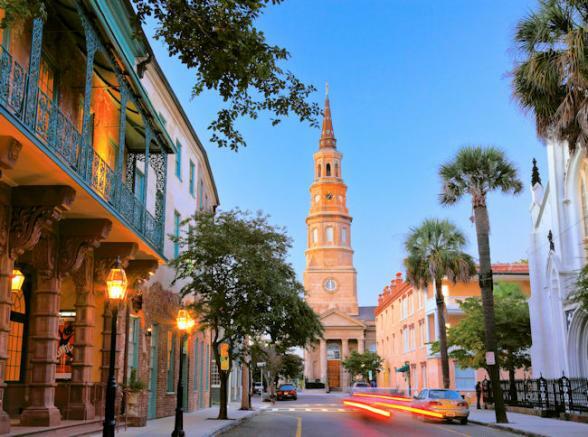 Call the travel experts at Bon Voyage to discuss your dream Sweet Carolina adventure.